Lister is a man from Malawi who needs $733 to fund prostate surgery. Lister is a 62-year old farmer from Malawi. Lister lives with his wife. Together they have six children and also six grandchildren. In his free time he likes to read books. Since 2016, Lister has been experiencing pain and urinary difficulty. These symptoms are caused by an enlarged prostate, a condition called benign prostatic hyperplasia. He needs to undergo a prostate resection surgery, a procedure in which surgeons will remove part of the enlarged gland. Our medical partner, World Altering Medicine, is requesting $733 to fund Lister’s surgery. On February 12, he will undergo prostate surgery at Nkhoma Hospital, our medical partner’s care center. The requested money pays for supplies, medications, and two weeks of hospital stay. Lister and his family are very excited he will have this surgery. Lister's case was submitted by Angela Quashigah at World Altering Medicine in Malawi. Lister was submitted by Angela Quashigah at World Altering Medicine, our medical partner in Malawi. Lister's profile was published to start raising funds. Lister received treatment at Nkhoma Hospital. Medical partners often provide care to patients accepted by Watsi before those patients are fully funded, operating under the guarantee that the cost of care will be paid for by donors. Awaiting Lister's treatment update from World Altering Medicine. Lister is currently raising funds for his treatment. 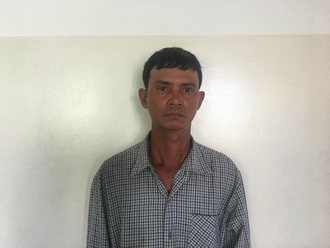 Rann is a 50-year-old man with four children from Cambodia. He likes to clean the house and watch boxing in his free time. Five years ago, Rann had an ear infection. This infection caused the tympanic membrane, or the ear drum, in his left ear to perforate. For this reason, Rann experiences ear discharge, tinnitus, itchiness, hearing loss, and headaches. He has constant drainage, which prevents him from hearing others properly. Rann traveled to our medical partner's care center to receive treatment. On February 5, he will undergo a myringoplasty procedure in his left ear. During this procedure, surgeons will close the perforation. Our medical partner, Children's Surgical Centre, is requesting $423 to fund this procedure. This covers medications, supplies, and inpatient care. He says, "I hope that after my surgery I will have improved hearing and no more ear discharge, tinnitus, or itchiness."